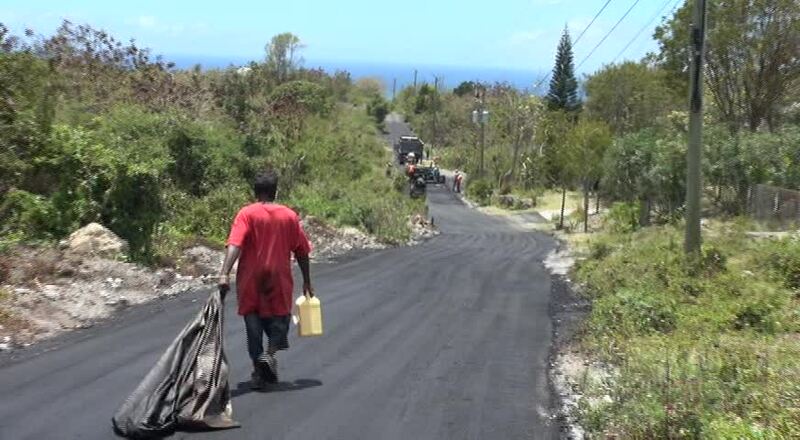 NIA CHARLESTOWN NEVIS (APRIL 17, 2015) — A link road called Lampa Hill which connects the communities of Baily Yard and Cole Hill to Brown Hill has been successfully completed. 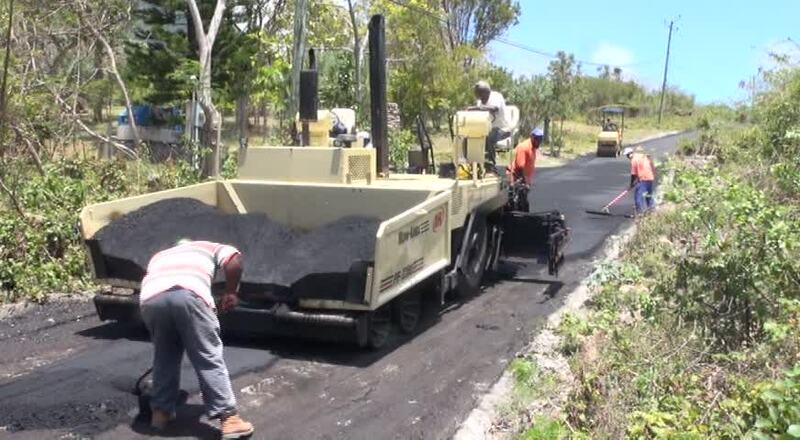 The road which had been impassable to vehicular traffic, was upgraded and asphalted by the Public Works Department to provide an alternative road way to the island main road into Charlestown and a second route in the event there are any bottlenecks in the area of Church Ground. During a site visit on April 15, 2015, Junior Minister responsible for Public Works Hon. Troy Liburd who was accompanied by Deputy Premier and Area Representative Hon. Mark Brantley, told the Department of Information that the project was in keeping with the Nevis Island Administration’s policy to utilise local skills and businesses. “We have the Public Works Department doing the supervision and they are doing the paving now but before, we have private backhoes who did the excavation work. We had the private trucks who brought in all the fill material. “So on this road, again, we have the manifestation of our government’s policy where the local people have benefited. They have benefited during the construction and the people will now benefit during the usage time of the road,” he said. 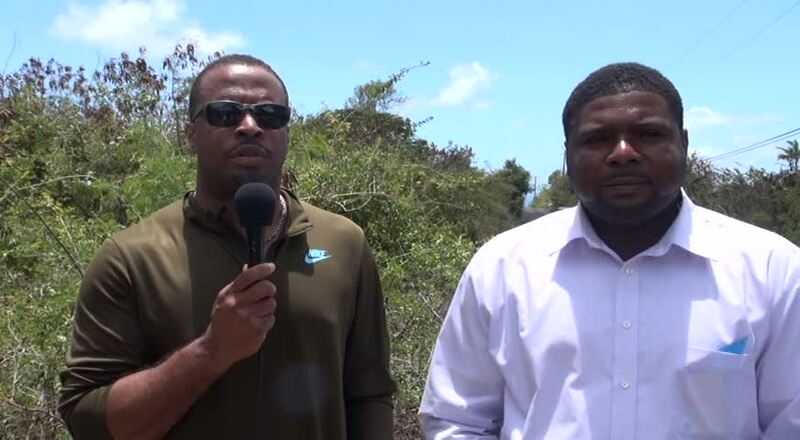 Mr. Liburd explained that while he would not describe the project as a full upgrade, it would make the road passable for many years to come and make the areas through which it passes more accessible to the people of Nevis. The Junior Minister expressed satisfaction with the project and used the opportunity to commend the Public Works Department for its work. Responding to the project, Mr. Brantley said he was pleased with the finished product and thanked Mr. Liburd for his leadership of the PWD and the staff for their work. He said the project was a further manifestation of the administration’s policy which was evident throughout Nevis to utilise local skills and businesses and added that the equipment used were part of investments by the new government on Nevis which allowed a greater breadth of work in a shorter period of time. Mr. Brantley who grew up in the area said the area was a community that had always been connected. He described it as a welcome development and one which would make it easier for people to traverse back and forth. He thanked all those who made the project possible among them the Cabinet Senior Minister responsible for Communications and Works Hon. Alexis Jeffers and Premier of Nevis Hon. Vance Amory. The Area Representative expressed hope that the new road would serve the environs well and urged land owners in the area to develop their properties. “I trust and hope that this road gives long service to the people of Cole Hill, Cox, Beaumont, Bailey Yard, Brown Hill, the whole area.